Margaret Millar was born in Ontario, Canada and was educated at Kitchener Waterloo Collegiate Institute and the University of Toronto, majoring in classics. In 1938 she married Kenneth Millar (who wrote under the name Ross Macdonald). 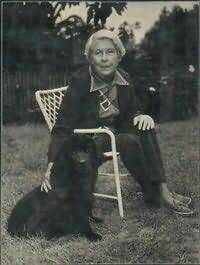 She published her first novel, The Invisible Worm, in 1941 and she worked as a screenwriter for Warner Brothers. She was active in the conservation movement in California in the 1960s and was named a Woman of the Year by the Los Angeles Times in 1965, and in 1982 she became a Grand Master of the Mystery Writers of America.